The intensity of exercise prescribed during a workout is typically defined based on the pulmonary oxygen uptake and blood lactate response to constant work. 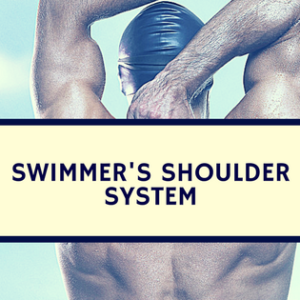 This is easily researched in running and cycling but is difficult in swimming. Therefore, many coaches prescribe intensity based on experience. A slow component of the VO2 kinetics is superimposed upon the rapid response, resulting in the delayed submaximal steady state. In severe intensity exercise, steady state is never achieved and VO2 increases two-fold, leading to fatigue. The objective of this study was to determine if VO2 kinetics around the respiratory compensation point (RCP) during swimming exercise. Nine well-trained male swimmers who competed at Brazilian National meet in events ranging from 400 – 1500 m and had trained for at least 5 years, around eight times per week. The mean 400-m front crawl performance was 4:29.33. First, the swimmers performed an incremental test to exhaustion to determine the gas exchanged threshold (GET), RCP, and VO2max. Then, they performed in a random order a series of “square-wave” transitions of 7-min duration at 2.5% below and above the speed at RCP in order to determine the pulmonary VO2 kinetics. Each swimmer’s VO2 data was taken with the K4b2 system. 3. Identification of a plateau of less than 150 ml/min between two subsequent stages. GET was calculated by V3/VO2 and in PetO2 without a concomitant change in V3/VCO2 andPet CO2. RCP was V3/VO2 and V3/VCO2 with a concomitant reduction in PetCO2. Then, the subjects performed two “square-wave” tests above and below RCP on different days. RCP corresponded to the midpoint between GET and VO2max. 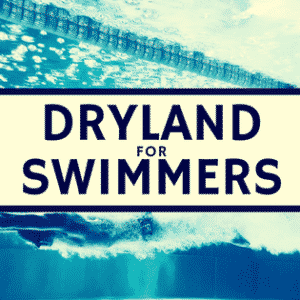 No significant difference between predicted and actual swim speed for both below and above RCP conditions. 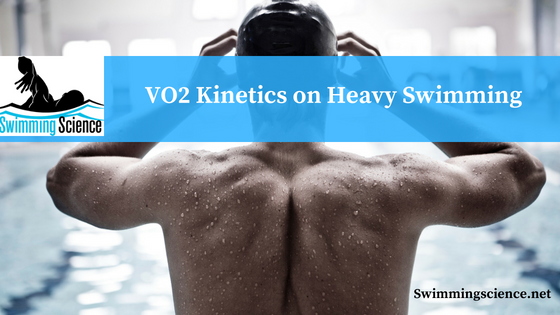 Similar to critical power during cycling, RCP appears to represent a physiological boundary that dictates whether VO2 kinetics is characteristic of heavy- or severe-intensity exercise during swimming. VO2max appears to only be attained when exercising above RCP. 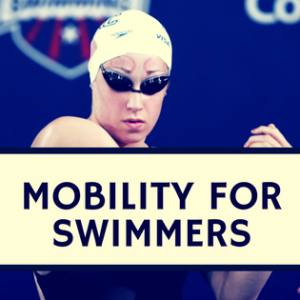 If VO2 measurements become more common in swimming, this data can be utilized for determining individualized training intervals. Severe Exercise in Swimming. Int J Sports Med. 2012 May 16.